It’s the second week of Frontier Developments’ coverage of the upcoming Chapter Four update to Elite Dangerous. The area of focus of this Livestream was the changes being made to the game’s background simulation (BGS) which is the component that responds to what players do within the game and how it impacts everyone else. An example of this is Powerplay which flowed based on player contributions to their chosen factions. Previously the state of a faction impacted all systems under their control but now it can vary per system. It will likely mean groups loyal to these factions will need to juggle more tasks to help maintain control and be selective in their protected systems but hopefully it will feel like a more realistic experience as a result. Scenarios are a new feature that appear to play out in response to the background simulation providing some colour to the galaxy around you. The examples shown involved ships in distress (fully voiced too) who would respond appropriately depending on what you do. Wars betweens factions take on a system that sounds a lot like how community goals work where each side needs to compete to outscore the other during a seven day period. The handling of conflict zones has been changed to more easily present players with the options for choosing sides and get involved. Side objectives can also come up in the midst of these fights which offer additional incentives that can improve your faction’s chances for success. Voice chatter abounds here too with other ships complimenting your hard work. Megaships are getting further enhancements too with scenarios and faction conflicts also being folded into them. Some of them will even have their own travel routes or come under attack which is something that you can either help or hinder. The goal of everything discussed here really looks like Frontier Developments working to add further colour and nuance to the galaxy around you and ensure that players have more to play with in their chosen vocations. We’re only halfway through the Livestreams now so there’s plenty more to come and how they all mesh together in the game people will be seeing soon in the beta. For everyone else… we’ll just have to wait a little longer. 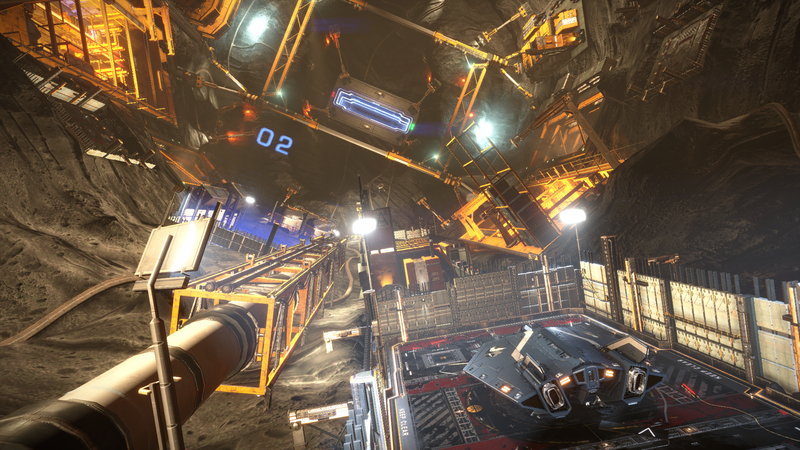 Elite Dangerous is out now for PC, Xbox One and PlayStation 4.